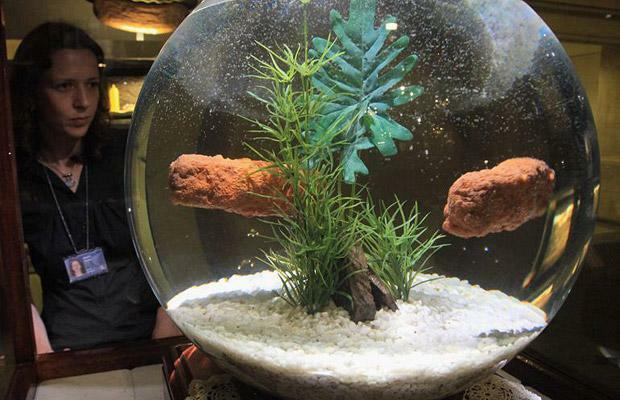 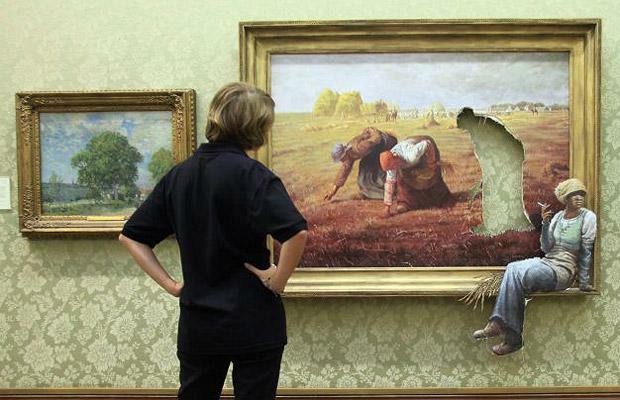 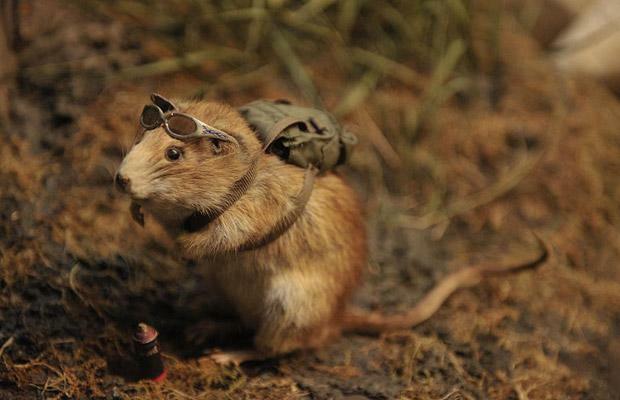 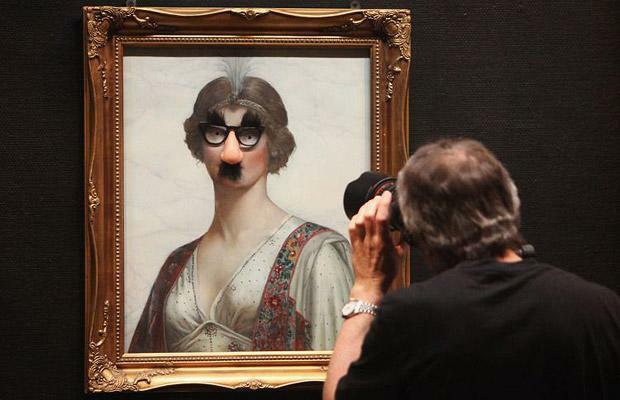 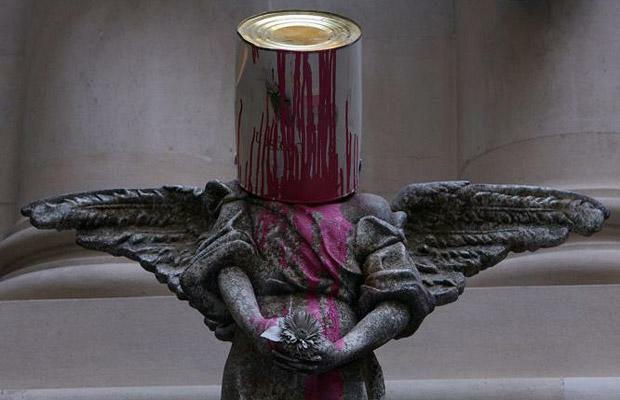 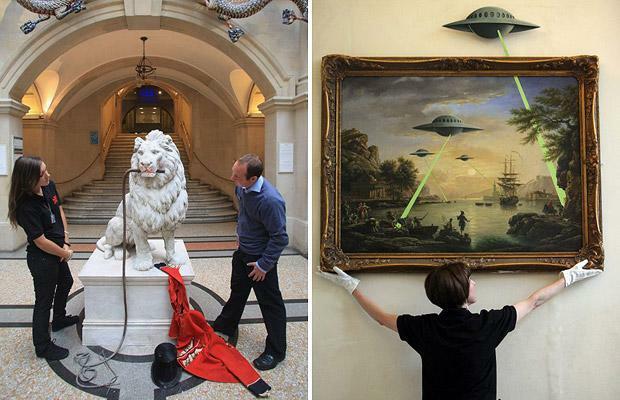 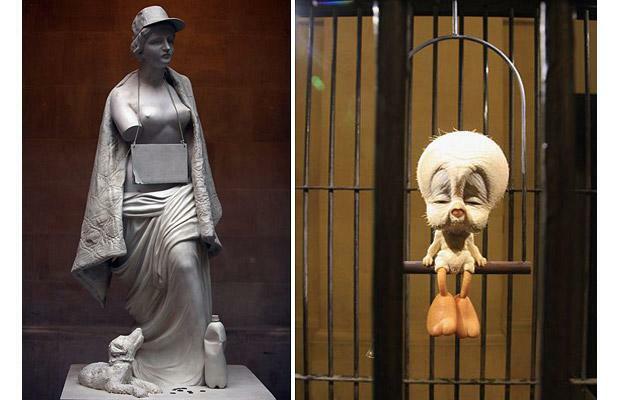 Underground guerrilla artist Banksy put on an exhibit at the Bristol's City Museum and Art Gallery. 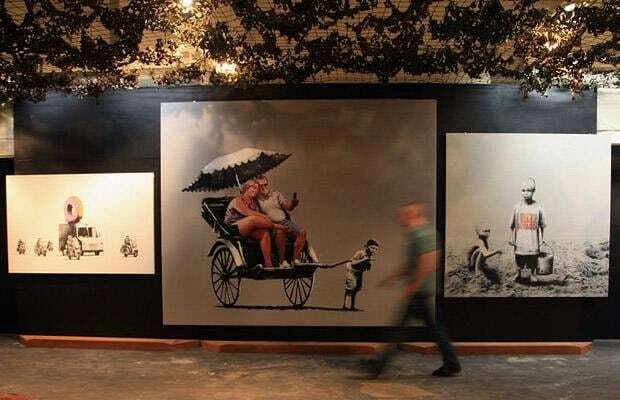 Always looking to showcase and reaffirm his well-crafted reputation as a subversive artist, Banksy has installed his work at the Bristol's City Museum inside a giant burned out ice cream van. 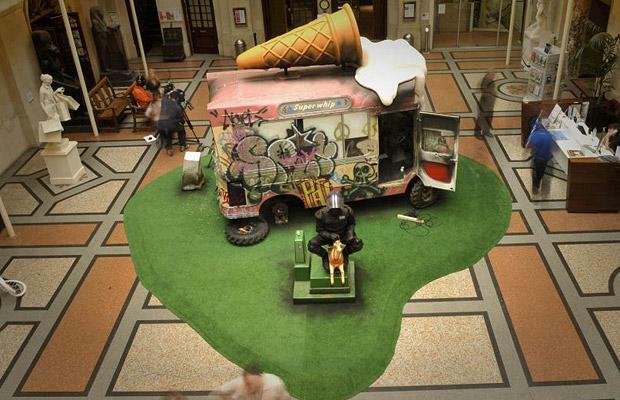 The Telegraph.co.UK newspaper states, "The van, which sits under a giant melted cone, appears alongside dozens of sculptures, oil paintings and his trademark stencils. 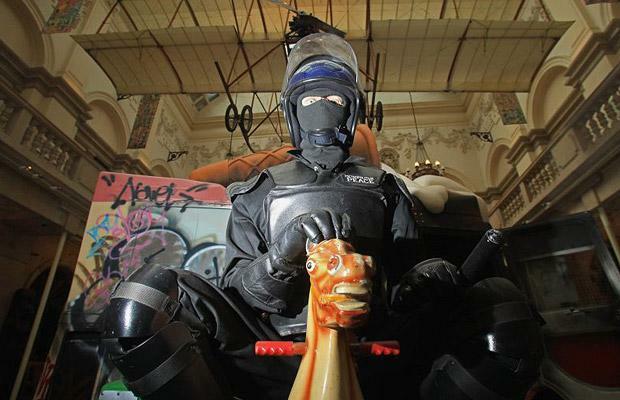 The exhibition, called Banksy versus Bristol Museum, consists of more than 100 items, including a sculpture of a riot police officer astride a child's rocking horse and a moving display featuring chicks as chicken nuggets. 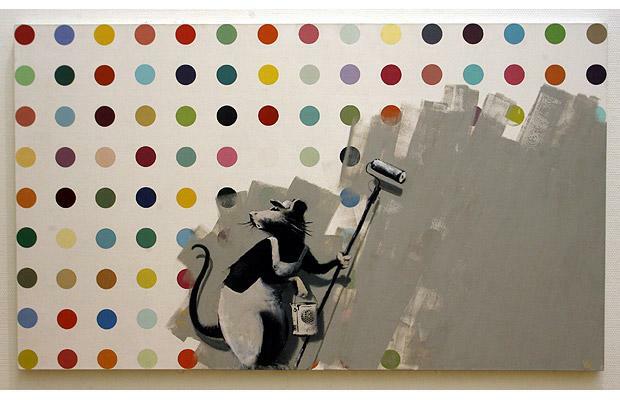 An original Damien Hirst painting has a giant stencil of a rat painted over it and part of Banksy's "Bog Henge" - an imitation of the Stonehenge circle made from portable toilets from the Glastonbury Festival - also appears. 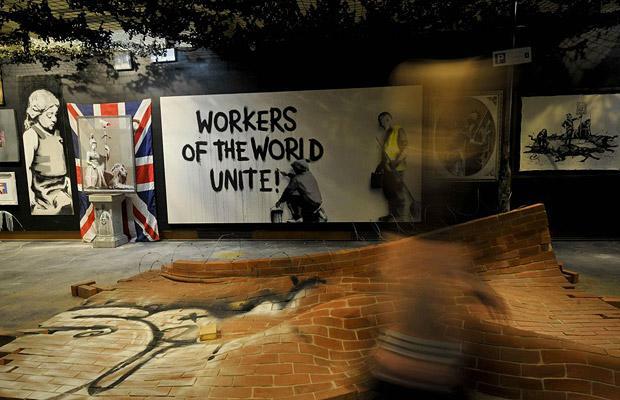 A collapsed brick wall lies across the atrium's floor beneath dozens of stencilled subversive satirical and political messages."